The latest announcement from Mad Catz heralds a couple of additions to their selection of professional gaming keyboards. Sometime soon, we should expect to see two new S.T.R.I.K.E. keyboards, designed to partner perfectly with the new G.L.I.D.E. range of gaming surfaces as well as their R.A.T. gaming mice. The keyboards, complete with Chameleon RGB lighting and extended customization, are made with high-quality materials just like the rest of Mad Catz's products. Though we don't have an on-sale date yet, we do expect the hardware to start shipping shortly. 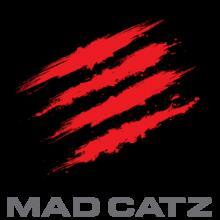 More information is available on all products at www.madcatz.com. Expected to begin shipping from Spring 2019, the S.T.R.I.K.E. range is a perfect addition to the Company’s recently announced range of G.L.I.D.E.™ gaming surfaces and R.A.T.™ mice., forming part of a complete PC eco-system. With two S.T.R.I.K.E. keyboards to choose from, gamers can pick the keyboard that suits their preference and budget.